Following the news that he'd returned to the club on a six-month loan deal, Forest Green Rovers defender Scott Laird has spoken to club journalists and welcomed the opportunity to pull on the club's red shirt once again. 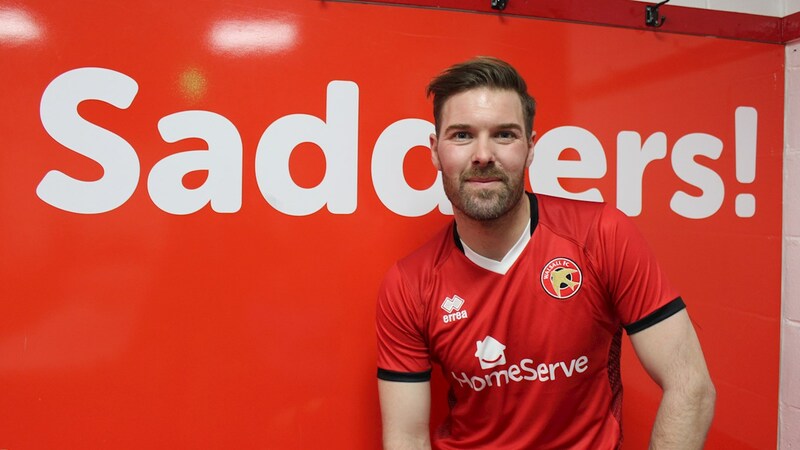 Speaking via the club's official website - Saddlers.co.uk - Scott said; "It’s amazing to be back. I can’t thank everyone at the club enough for getting it sorted and getting it over the line so quickly. "I know a few of the lads and can’t wait to see them again at training and get going for the rest of the season. I’m here to do the best I can for Walsall Football Club. I said when I was here in my last loan spell that I am not one of those loanees who is here to do it for themselves. "I really care about the football club and I want to do well for Walsall. If doing my best helps me earn a contract with the club then brilliant - that is what I will be trying to do. I have got to impress the gaffer day in, day out. I am happy to be back and hopefully I can help the club out."